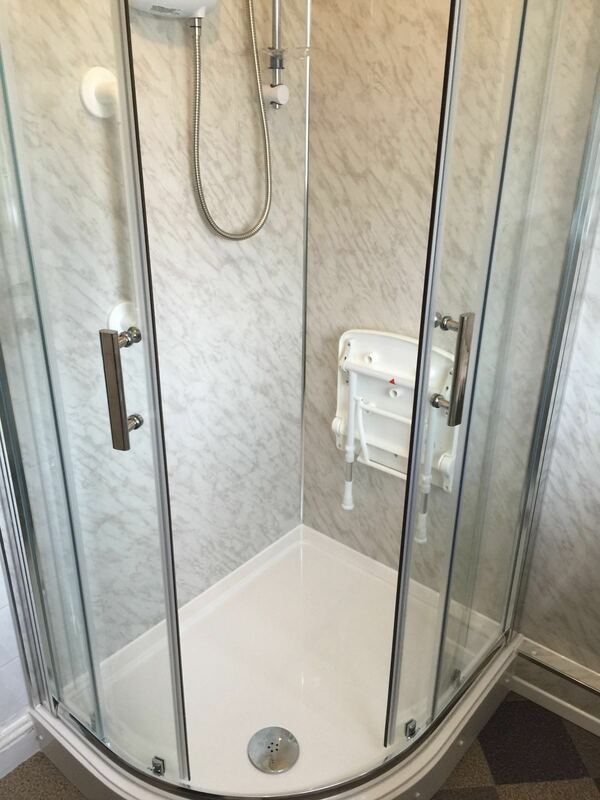 New shower cubicle with seat and grabrail in Aldridge. 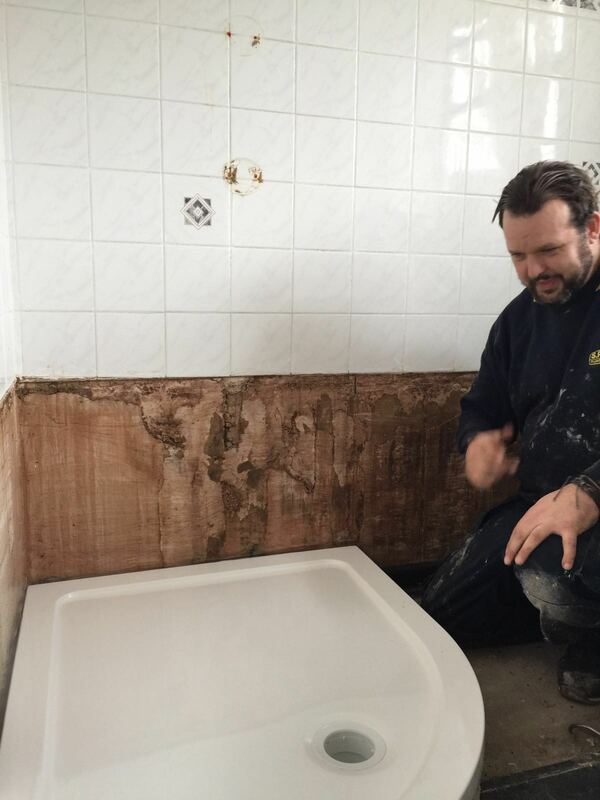 We removed an old bath and added a brand new fitted shower cubicle with additional safety features. 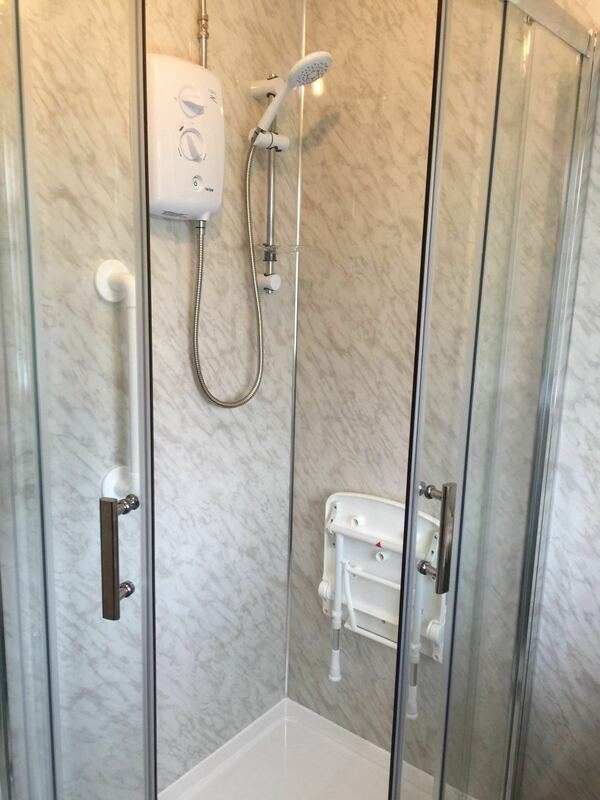 A seat and a grabrail were added to ensure safety for the customer when using the shower. 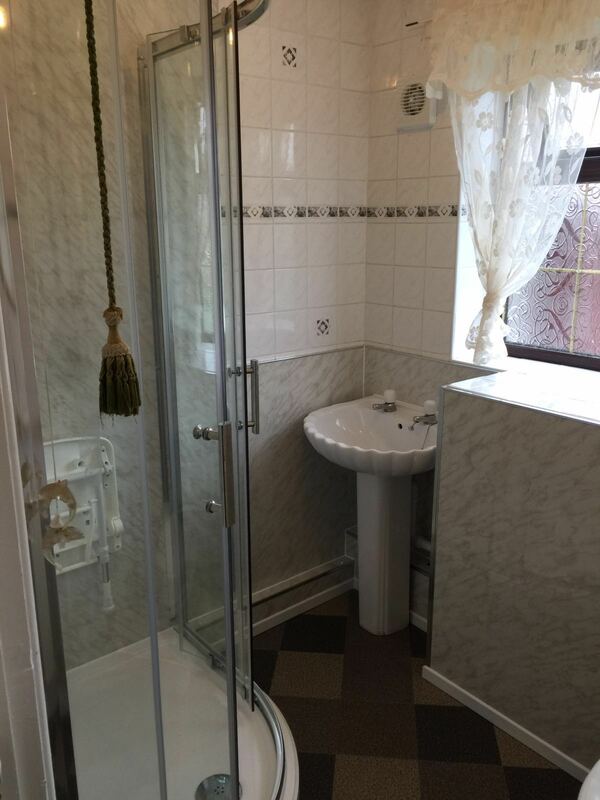 We then completed the retiling of the bathroom and fitted new flooring to complete the look. If you need a bathroom fitter to refit your bathroom in Aldridge or surrounding areas please contact us today for details.